If you have big gaps in your smile because of missing teeth, maybe it’s time to consider dental implants. Dental implants are a modern and natural-looking tooth replacement option that can restore your oral function and change your smile for the better. Dental implants in Milton Keynes are available in many combinations and can replace a single or multiple missing teeth. Even if are you missing all of your natural teeth, our dental team at Northlight Dental can restore your smile with dental implants in Milton Keynes. Dental implants are placed into your jawbone during oral surgery; they replace the missing tooth roots in your bone tissue. Gradually, through a process known as osseointegration, the implants become one with the jawbone and eventually your dentist can mount replacement teeth on top of them. Implant-supported restorations are designed to look just like your natural teeth, therefore nobody will notice that you are having dental implants. More importantly, dental implants function just like real teeth by restoring the relationship between the gum tissue and the tooth and encouraging the growth of new bone tissue. Removable dentures are a practical solution for a lot of patients with many missing teeth, but in the long term they can cause trouble. Not only do they need to be removed in order to be cleaned properly, but they can also become loose and unstable over time, causing further jawbone deterioration. Dental implants provide a fixed solution, and looked after properly, can last for a many years. If you have dentures, you probably know that your dietary options can be very limited. Eating with dentures can be quite challenging and eating chewy and hard foods is out of the question. Luckily, this can change with dental implants in Milton Keynes. Not only do the implants restore your biting and chewing power almost completely, but they also allow you to eat more nutritious food such as fruit, nuts and vegetables. This entry was posted in Dental Implants on 10th April, 2019 by Northlight Dental. When you lose your teeth, whether it’s one, a few or even all of them, what you really need is to be able to replace them with something that looks and acts like they did. But getting artificial body parts that act like those we have lost is harder than one would think. It is really only in the last few decades that medical science has developed the know-how and the materials with which to recreate lost body parts. One of the biggest problems has been getting the body to accept foreign materials into itself. The immune system is designed to attack and get rid of anything foreign, which, when we evolved, would be some kind of infection. So, things took a massive step forward in the science of replacing body parts when a Swedish scientist discovered that the body responds to titanium like it is part of its own tissue. This is when replacing lost teeth took a big step forward and dental implants were born. Now, having been around for more than 30 years, dental implants in Milton Keynes are most people’s first choice for replacing lost teeth. This is because dental implants in Milton Keynes fuse with the jawbone, which grows new bone tissue all over them to anchor them in place. This anchoring gives the stability that teeth need in order to be able to withstand the powerful forces created by chewing, which can be more than 97kg or 200lbs. Dentures can only cope with about a quarter of that force, severely limiting people’s eating choices and excluding many nutritious, but crunchy or chewy foods. One implant can hold 2 crowns on a bridge and 2 implants can hold up to 4 crowns. This gives lots of versatility when it comes to replacing teeth. For example, it is possible to replace an entire arch of teeth on just 4-6 carefully placed implants, using a technique called All-On-4. To find out more about dental implants in Milton Keynes, book a consultation with us at Northlight Dental. 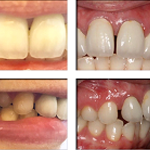 This entry was posted in Dental Implants on 20th March, 2019 by Northlight Dental. When you are looking at possible treatments for missing teeth you will no doubt have considered crowns, bridges or dentures. Thanks to the quality of materials and technical skills used to create them, all 3 offer a tooth replacement solution that looks natural and offers some replacement functionality. However, these replacement options can be improved, providing a complete tooth replacement option when combined with dental implants. In Milton Keynes, dental implants take your restorations to the next level. 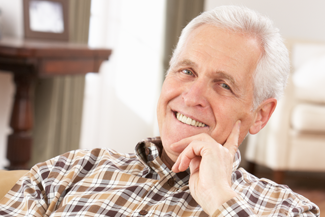 In Milton Keynes, dental implants replace your natural tooth root. This is achieved thanks to a tiny titanium screw that is placed into your jawbone during a simple surgical procedure. Titanium has unique biocompatible properties that encourage natural bone growth, including allowing bone to adhere to its surface, creating a strong, secure platform for replacement options to be attached to. Careful placement avoiding blood vessels and nerves means that the jawbone remains healthy. Due to its non-reactive nature, the titanium implant will not breakdown and corrode over time. At Northlight Dental, we can offer good quality crowns, bridges and dentures. They offer a good solution that is cost effective when you’ve lost a tooth. However, over time, they do have some disadvantages that you need to be aware of, which may, on reflection, encourage you to invest in dental implants in Milton Keynes. Crowns are artificial teeth that are cemented over broken, damaged or partial teeth to protect them. They cannot, alone, replace a tooth. However, they are also used to create a bridge. A bridge is a row of crowns fixed together. The bridge is fixed onto a healthy tooth either side of a gap. Both healthy teeth will need to be reduced in size. This can have long-term implications for your oral health. 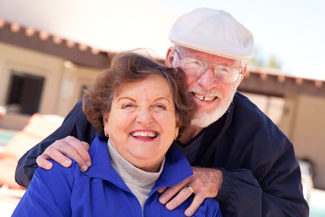 Dentures can replace all of your teeth if required and are created to fit snugly onto your gum. However, over time, your jawbone shrinks as tooth roots are no longer present to stimulate its growth. When dental implants are used to secure crowns, bridges or dentures your natural teeth and your jawbone remain healthy. This entry was posted in Dental Implants on 27th February, 2019 by Northlight Dental. You’ve got missing teeth. You’ve done your research, you know you want to have dental implants in Milton Keynes. Next step is to choose your dentist and have an initial consultation. You may decide to go to your usual practice, but first of all it’s a good idea to check up on their track record. Implant surgery is a lengthy and complex procedure so make sure whoever carries it out for you has many years’ experience in placing implants. Here at Northlight Dental, our implant dentist Dr Sunil Passan is also our practice principal. He’s been fitting dental implants in Milton Keynes for more than 10 years and has a diploma and advanced certification in implant dentistry from the Royal College of Surgeons. If you decide to use our surgery for your dental implants in Milton Keynes, here’s how the process works. Sunil will take a thorough medical history and examine your teeth and jaws using photographs and x-rays. The more complete a picture he can build up of your mouth, the more of tailored a treatment he can offer. You may need some preparatory work such as treatment for gum disease or a bone graft if you have low density in your jawbone. Sunil will also talk you through how the implant surgery works and listen to any queries or concerns you have. If you feel nervous, don’t worry. Sunil is a trained sedationist and can offer you conscious sedation to soothe your nerves during the procedure. The implant is placed in your jaw during a minor surgical procedure, similar to having a filling. The implant itself is a tiny titanium screw that fits into the jawbone in place of the missing tooth root. The implant will integrate with the body, forming a secure foundation for the replacement tooth. However, it needs time to heal. This takes 3-6 months, depending on your physical condition and lifestyle. We take an impression of your mouth so the dental lab can create a well-fitting replacement crown. Your new tooth is fixed onto your implant, and you are ready to smile again. This entry was posted in Dental Implants on 13th February, 2019 by Northlight Dental. It has been a couple of months since my last blog, where I took you through the first stages of my Invisalign journey. 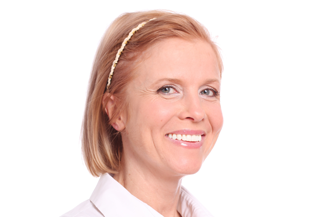 I am now on set ten of my aligners and what a difference there has been in such a short space of time. I am really impressed with the progress do far. The Changes I originally had a gap between my front teeth which was approximately 2mm wide and I used to get my top lip stuck between them. I also had a gap on the right side between my premolars, which was wider and this gap really made me self-conscious and I kept getting food stuck in between them. After only 12 weeks, my gap at the front has closed, and the gap at the side has closed half way. I still have a long way to go as I have a total of 30 aligners to wear, so 20 more to go. I have changed my aligners 10 times now, and now have a good idea of when I can expect my teeth to be achy. When I first change my aligner, there is an instant tightness, this last for around 5-10 minutes and then the tightness eases. The aching general last for a couple of days, and then on a few occasions mid-way through wearing my aligners I may get the odd ache, but nothing terrible. I am continuing to use floss and TePe brushes and the beauty using Invisalign is that I can remove them to clean my teeth properly. I hope you find this blog useful and insightful. If you would like to ask any questions or thinking about straightening your teeth and would like to book a consultation please call us on 01908584461. This entry was posted in My Invisalign Journey on 1st February, 2019 by Northlight Dental.